Thousands of Michigan families who were expected to lose food stamps will now keep the assistance or get it back next week. How many families? No one knows. Which families? No one knows that either. The Department of Human Services, which was very efficient at removing families from food stamps in October, is struggling to find a quick way to return assistance to some of those families. Nevertheless, the softening of new, hardline DHS eligibility guidelines will keep food on the table for thousands of Michigan children. On Oct. 1, DHS instituted an asset test for food stamp recipients. To qualify for aid, families had to have less than $5,000 in total assets, including the value of all motor vehicles above $15,000. (The value of a family’s home is excluded). In other words, if a family with a recently laid-off bread winner had a couple decent cars, they couldn’t get food stamps. 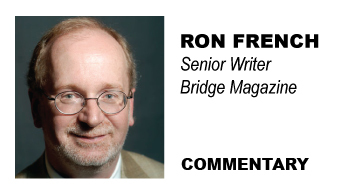 Bridge Magazine wrote about the issue in September. About a month later, the policy was changed to exclude the value of the family’s most-valuable vehicle. In October, 6,820 families lost their eligibility for food stamps, according to DHS data. In November, an additional 514 were removed during regular annual case reviews. If November’s pace were to continue through September 2012, about 11,960 families would lose food stamps in the first year. Many who would have lost food stamps during their 2012 annual reviews won’t now because of the one-car exemption to the asset test. And many, perhaps thousands, of the 7,334 who’ve already lost benefits will qualify to regain food assistance as of Jan. 1. Those benefits won’t kick back in automatically, said DHS spokeswoman Colleen Rosso. The computer system DHS used to kick families off assistance isn’t set up to determine which of families now have regained eligibility under the softened policy. “We’d have to go look case-by-case,” Rosso said. Instead, DHS will call families kicked off food stamps and urge them to reapply to see if they now qualify, Rosso said. Reaching out to families case-by-case is solid social work and speaks to the department's commitment to engaging with each family individually, helping them to access benefits available to them and chart a course to self-sufficiency. The $5000 asset threshold includes vacation homes, recreational vehicles and cash -- but does not include vehicles -- nor does it include retirement accounts or education savings accounts among many other assets. The first vehicle is not counted and remaining vehicles in the household fall within a $15,000 limit. Regardless of any technological advances, DHS will continue to be a department of social workers who are committed to helping families on an individual basis.